Inspired by the natural world surrounding him in his beloved Sweden, the series set a genre-blurring sonic exploration in motion solidifying Rathsman’s skills as a world class selector. Since being named BBC Radio 1’s ‘Future Star of 2013’ by one of dance music’s most respected DJs - Pete Tong, Jonas Rathsman has gone on to exceed all expectations with a string of first class releases, remixes and an undoubted ability to work a dancefloor. 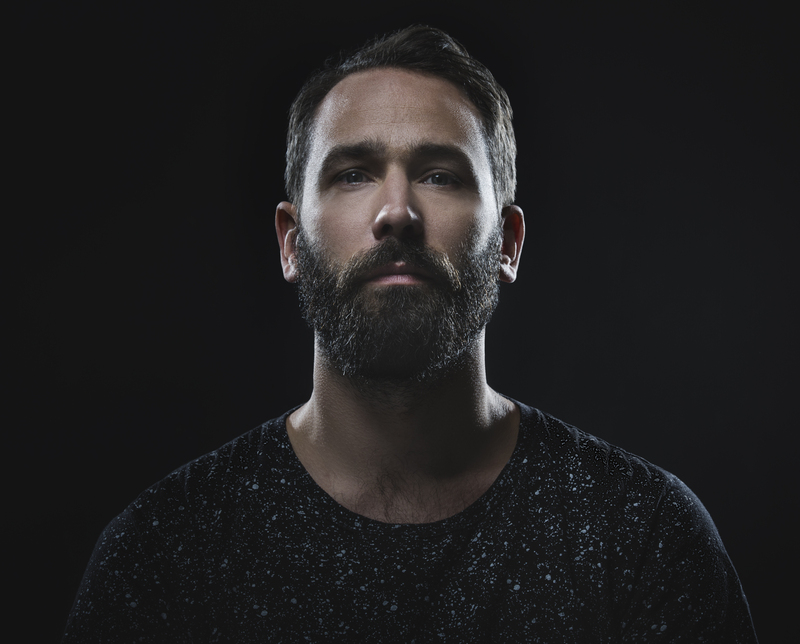 Born and raised in a small village in Western Sweden, Rathsman furthered his passion for music at the age of 18 when he began organising parties at numerous clubs in Gothenburg, quickly rising through the underground hierarchy of Sweden´s second largest city. Together with his close friend Fredrik Nyberg, aka DJ NIBC, they started releasing material under the alias Stuffa, which came to a climax with the release of their third single ‘Proof’ on the prominent house label, Defected. Soon after, it was Rathsman’s decision to abandon all pseudonyms and release his distinctive productions under his own name that proved to be the turning point in his career. Closing 2014 with a timeless underground anthem - a remix for global star Sam Smith - kicked of the Swede’s next chapter and marked the start of his two most career defining years to date. Rathsman’s remix of ‘Like I Can’ caught the attention of Annie Mac, who instantly premiered it on her Friday night show, Pete Tong who made it his ‘Essential New Tune’ and Danny Howard, where it became #1 on his ‘Dance Anthems’ show. Rarely have remixes made such an impact. Proving that he was more than a great remixer, Rathsman’s highly anticipated follow up came in the form of ‘Wolfsbane’ which was first tested out on the packed out dancefloor of Space Ibiza whilst supporting Disclosure. The crowd’s reaction to the track was so strong that it cemented the duo’s feeling that ‘Wolfsbane’ was the track with which to launch their new imprint, Method White. After picking up early club support from Solomun, Guy Gerber, Adriatique and Jackmaster it was crowned ‘Essential New Tune’ again by Pete Tong and went on to be hailed the ‘Tune Of Miami Music Week’ by Beatport, hitting the Top 10 of their Deep House Chart along the way. This release took Rathsman to a new level leading to festival performances worldwide at Parklife (UK), Lost Village (UK), Wildlife (UK), Hideout (Croatia), Woogie Weekender (U.S), Wonderland (Netherlands), Electric Zoo (U.S), CRSSD (U.S) and Boxed Off (Ireland) alongside club appearances at Warehouse Project (UK), Space (Ibiza), Phonox (UK), La Machine (France), Toffler (Netherlands), earning him the reputation the world over as a DJ’s DJ. In June 2015, this reputation led to an invitation to do the prestigious BBC Radio 1 Essential Mix gaining him widespread support from fans and piers alike. Motivated by the positive response, Rathsman set about releasing more mixes and soon announced the launch of ELEMENTS – a bi-monthly mix series curated by himself. First featured on his Essential Mix as a white label, his next big release came in the form of the now named ‘New Generation’ via Kompakt Records imprint KX. Receiving notable early support from Skream, Joris Voorn, and Booka Shade, the track quickly sold out the first vinyl release and for the third successive time for Rathsman, it was crowned Pete Tong’s ‘Essential New Tune’ on BBC Radio 1. Performances at BPM Festival (Mexico) and Bugged Out Weekender (UK) followed by tours of North America and Australia set the tone for a busy 2016, as Rathsman was invited by Solomun to release ‘Cobalt’ on Diynamic Music’s latest instalment of the ‘Four To The Floor’ series. Lining up alongside Pig & Dan, Guy Mantzur and ANNA, ‘Cobalt’ launched with a fourth ‘Essential New Tune’ on BBC Radio 1 and flew at club level with support from Danny Daze, Joseph Capriati and Damian Lazarus. Taking his support one step further, in June 2016 Damian Lazarus pushed Rathsman’s next underground anthem ‘Complex’ featuring Australian songwriter Josef Salvat through own imprint, Crosstown Rebels. After playing the record across his Miami Winter Music Conference performances, he reported that ‘Complex’ was “receiving hands in the air welcomes and even a sit-down ovation” and it eventually made the grade for an astonishing fifth ‘Essential New Tune’. In 2017 Rathsman’s ELEMENTS brand would continue to flourish, reaching its tenth installment and now extending to one off events that saw him sell out Autumn Street Studios - a five-hundred capacity warehouse space in the east of London. An organic connection was growing both with fans and piers, a connection that would lead to the launch of the ELEMENTS record label which would launch with Rathsman’s own ‘Within Borders’ EP. The EP reached the top 20 of the Beatport Techno Release chart, was Hottest Record on Triple J in Australia and received over 10 plays across BBC Radio 1, whilst picking up support from Damian Lazarus, Maceo Plex, Andhim, Joseph Capriati amongst many others. With ELEMENTS quickly growing into the go-to place to discover underground music and his fashion brand ‘Uniforms for the Dedicated’ driving forward, Rathsman is set for a hugely exciting future confirming all notions that this versatile Swede is most definitely here to stay.